Places you visit : Delhi, Lucknow, Lumbini, Kushinagar, Patna, Varanasi, Delhi. Highlights : Visit to Bodhgaya, Rajgir, Nalanda, Sravasti, Lumbini, Kapilvastu and Kushinagar, which are some of the most famous Buddhist sites of the world. 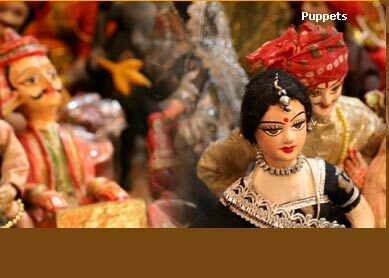 Enjoy sightseeing of Delhi and Varanasi. Morning Boat ride in river Ganga. The 11 days Buddhist pilgrimage tour takes you to several Buddhist holy sites, which are in greater way attached to lord Buddhas life. The tour gives you plenteous of opportunity to indulge into a number of activities along with visiting these famous Buddhist sites. Famous Buddhist places you would be discovering in this tour will be Sravasti, Kushinagar, Lumbini, Varanasi, Rajgir and Nalanda. 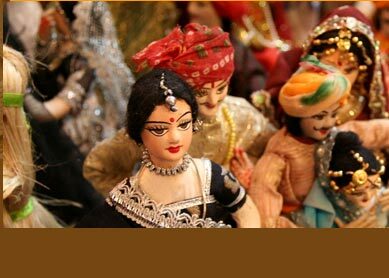 Moreover, you will also visit Delhi and Varanasi, the important tourist destinations of the country. Day 1: Delhi. Arrive at Delhi airport in evening. Transfer to the hotel, where you stay overnight. Day 2: Delhi. Full day sightseeing of Delhi includes visit to its prime tourist destinations like Qutab Minar, Humayun Tomb, India Gate, Red Fort and Jama Masjid. Overnight at hotel. Day 3: Delhi-Lucknow-Sravasti. Early in the morning, catch train (Shatabdi Express) for Lucknow, and reach there in noon. Later, drive to Sravasti, where you visit its famous Buddhist Monastery, where lord Buddha gave his sermons. Overnight at hotel. Day 4: Sravasti-Lumbini. Drive to Lumbini from Sravasti. En route halt at Kapilvastu, and visit the Buddhist sites here. Later carry your drive on, and reach Lumbini in evening. Check into hotel, and stay overnight at hotel. Day 5: Lumbini-Kushinagar. Drive to Kushinagar in morning. In way falls Rambhar Stupas, where you will halt and explore the famous Buddhist site. By evening, reach Kushinagar. Check into hotel, and stay overnight. Day 6: Kushinagar-Patna. After breakfast, start your 250 km drive to Patna. En route, you will halt at Vaishali, the popular Buddhist site. Later, you will forward your drive, and will reach Patna in evening. Check into hotel, and stay overnight. Day 7: Patna-Bodhgaya. In morning, you will drive to Bodhgaya (200 km). In way, you will visit two world famous Buddhist sites at Nalanda and Rajgir. Later, forward your drive, and reach Bodhgaya in evening. Day 8: Bodhgaya. Spend a full day at Bodhgaya, which is said to be the most famous of all Buddhist pilgrimage centres of the world. Visit its world famous Mahabodhi Tree, Mahabodhi Temple and Niranjan River. In evening, enjoy shopping at its crowded streets. Overnight at hotel. Day 9: Bodhgaya-Varanasi. The next destination you will be touring is Varanasi. Take drive from Bodhgaya, and reach here in evening. Check into hotel, where you stay overnight. Day 10: Varanasi-Delhi. Enjoy early morning boat ride in river Ganga. Take a dip in the river, and visit its famous temples. Later, catch flight for Delhi. Arrive here in evening, and take rest in evening. Day 11: Delhi. As per your flights schedule, you will be transferred to the airport. If you have free time, we will take you to shop at famous shopping centre of Cannaught Place. Being an 11 day tour, Buddhist Pilgrimage tour covers all the major buddhist centres of India within the time span. You would love to visit to Buddhist pilgrimage centres, which were deeply associated with the life of lord Buddha. 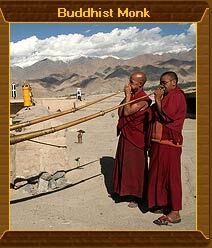 As, the very root of Buddhism lie in India most of the famous Buddhist pilgrimage destinations are located here. The tour also take you to Varanasi and Delhi, the two major tourist attractions of India. At Varansi, enjoy boat ride in holy river Ganga, and visit its famed Ghats and temples. At Delhi, you will have opportunity to visit some of its historical monuments. Even, you can hang on shopping excursion when you have free time.